I hope you all had a lovely one, or a lovely solstice celebration, or a lovely whatever else you celebrate at this time of year. I personally go for the solstice celebration. I love Christmas. The lights, the tree, the music, the presents, the snow when we get it. I just don't do the religion bit. I still enjoy the whole shemogle, though. Is that how you spell 'shemogle'? Is it a word? Here's hoping all of us have a much better new year than any that have gone before. Happy Holidays, everyone. 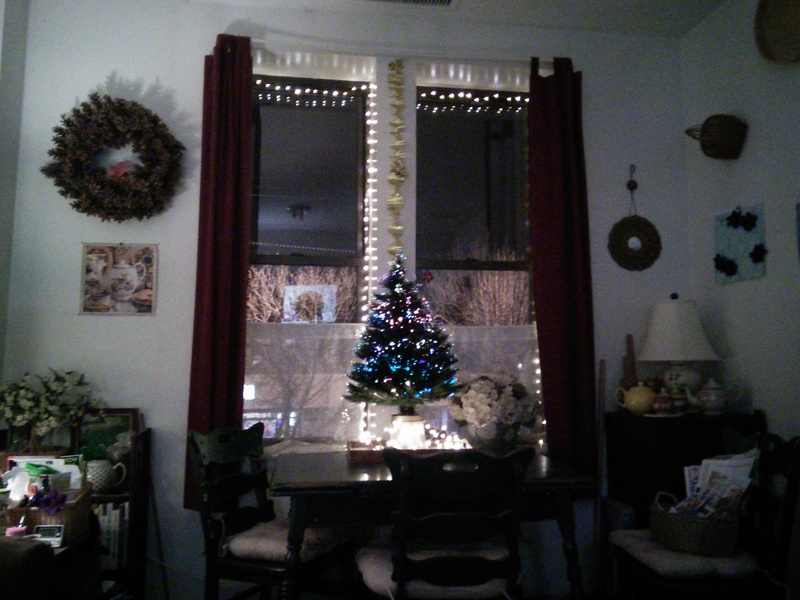 That's my little fiber-optic tree, btw. Color is off, everything has more gold in it, but it's cute.